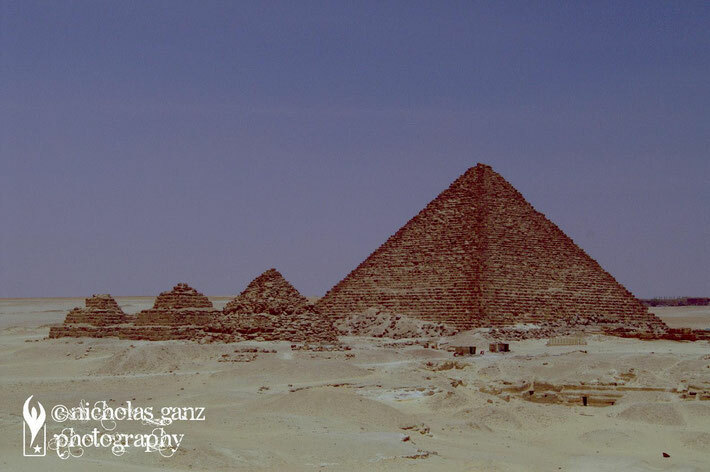 The pyramids of Gizeh nearby Cairo. The entrance to the Luxor Temple. 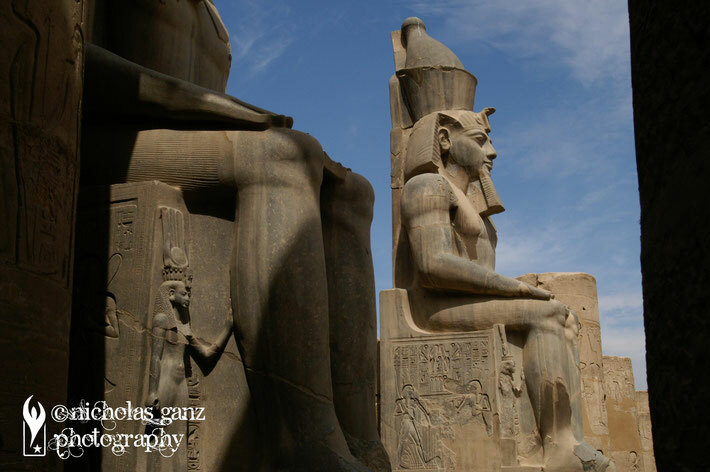 A giant sculpture of Ramses inside the Luxor temple. 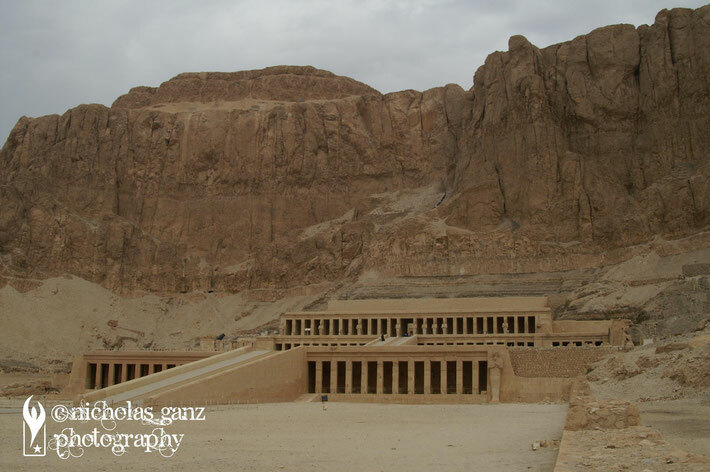 The entrance to the Mortuary Temple of Hatshepsut. 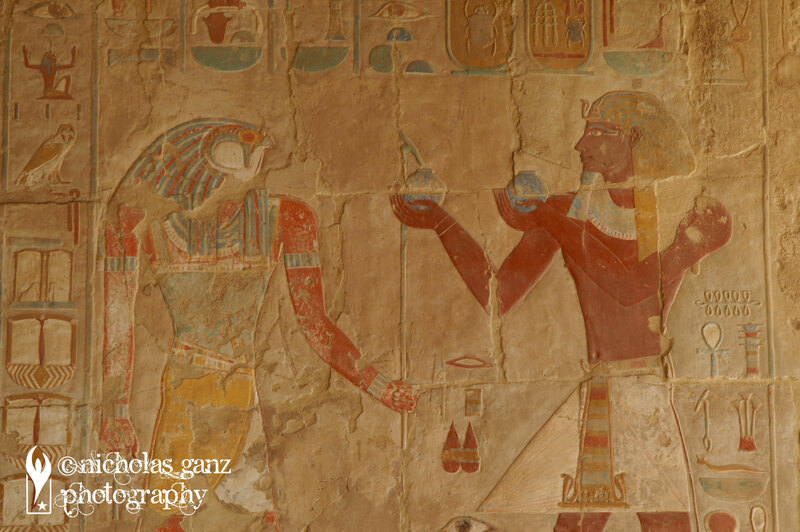 One of last surviving coloured reliefs inside the Hatshepsut Temple. In ancient times, all reliefs were coloured. 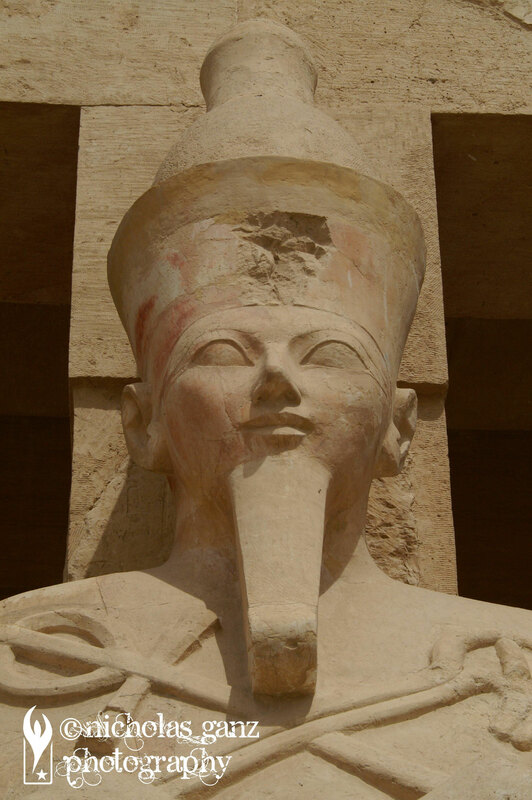 An Osiris sculture at the Hatshepsut Temple. 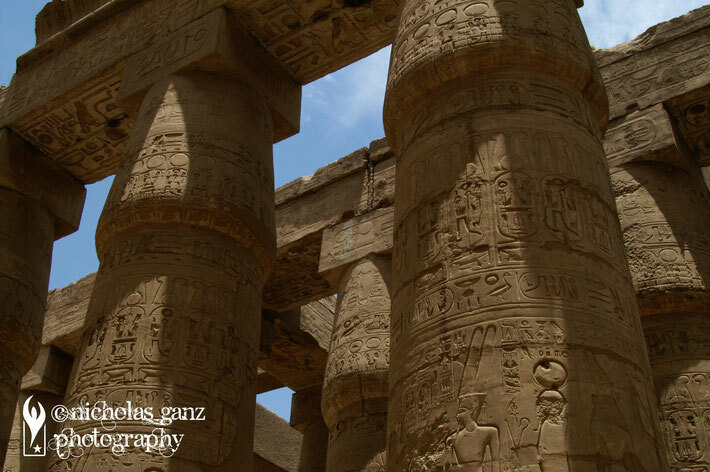 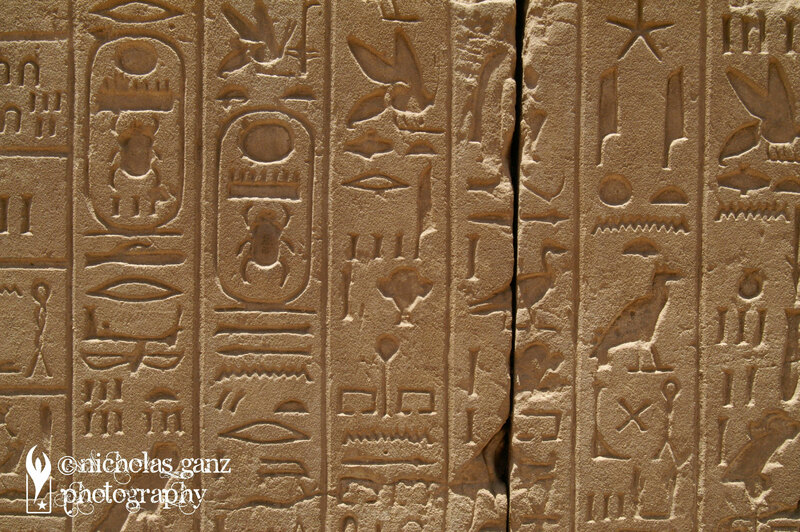 The gigantic columns at the Karnak Temple near Luxor are covered with Hieroglyphs. 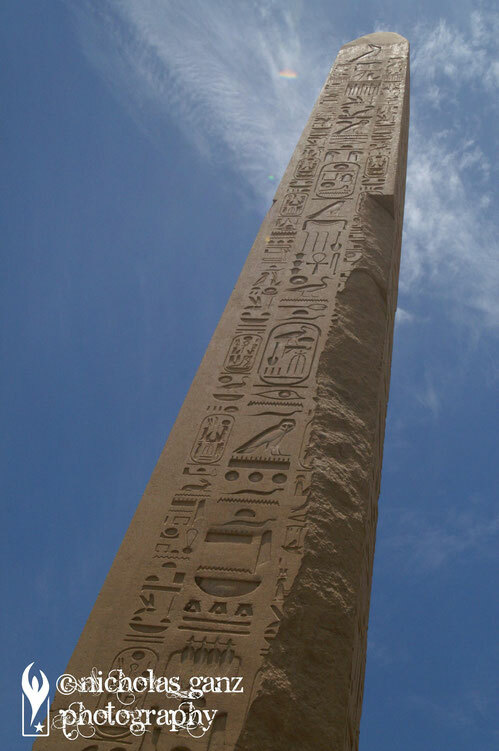 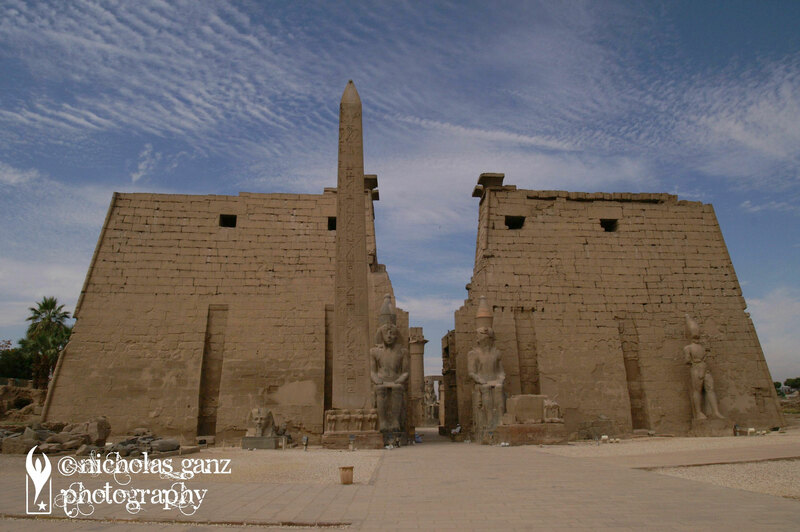 The obelisk of Hatshepsuth in side the Karnak Temple.